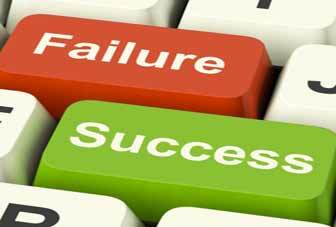 Too Meritorious To Fail | Business Article | MBA Skool-Study.Learn.Share. As I decide to pen down something I ponder as to what can be written so as to pacify me and the reader. I say this because for the last one year, the only news you read or hear is about crisis everywhere – financial, political, economical, natural. Each day brings hopes to ‘end’ or at least find a ‘solution’ to the crisis but it just doesn’t seem so. It appears a “Mirage”. Isn’t that too long a tenure of grim realities for an audience hungry for solutions, answers or “news” – pun intended? Hence let’s talk about “news” that’s seen an end or has seen a solution at least. I leave it to the reader to decide whether that’s an end or the start of something graver. After all we are humans and on a persistent quest for something to excite us. The first in the series is the serious allegations of child abuse against BBC TV show host Jim Saville who is no more. He was one of his kinds during the 70’s in United Kingdom. His show was called “JIM LL FIX IT”. He was also honored with the OBE (Order of British Empire). He faces child abuse charges at BBC premises. He died at the age of 84. Fortunately no stripping of titles, no fines, no trials…yes one can’t evade compensation to victims. So I wonder whether this has come to an end. Of course, we know about the stripping of seven “ Tour De France” cycling championship titles of Lance Armstrong… a onetime deity of inspiration has put everyone and if not everyone then at least a fifth of the world’s cancer patients into a chasm of utter discouragement. His sponsors demand all money lent to him to tune of 200 Mn USD back during his tours. Has this come to an end? Let’s look at a more home grown story with an end--- I refer home here to the Indian soil. I say home grown because am going to present to you our very own Mr.Rajat Gupta, American Indian. Any soul dealing with the financial world knows enough about him and no Auditor is ignorant to his professional repertoire. An enviable chronology of career moves. He was tried in the US courts and is sentenced to two years imprisonment with a 10 Mn USD fine levied on him for “white collar crime”. I presume this is the end. The idea to highlight the three personalities is because all three resemble each other in their voluntary acts in many ways than one. All three were enjoying the best of positions, had huge admirers, and indulged in humongous charity. They were icons for many. They could raise money for a cause at the blink of an eye. Money could buy anything for them. Yet, each of them “cheated’ in the way convenient to him. Hence the fundamental question arises. Why does one CHEAT? Primarily one may ‘CHEAT’ to “SURVIVE’ OR “SUSTAIN” AND/OR “RULE” or “OVERPOWER” OR one may ‘CHEAT’ to simply ‘CHEAT’. All throughout the act of cheating either the doer has allies along with him who are a party to the whole act or he is doing it all on his own because he is too far from being even suspected in any case. Jim Saville is accused of those abuses at the BBC premises along with other POP stars of the 70s. Isn’t that too alarming for an organization of the magnitude of BBC. Lance had his fellow cyclist who was along with him during doping and the truth was revealed only when he turned a witness. Mr. Gupta’s telephone recordings speak about his conversation leaks with Raja Ratnam, the hedge fund operator. Isn’t all this a clear indication that they believe it is next to impossible for anyone to even think atrocious about them? Why is it so? Is it because they are too educated, well accepted, carry a clean image or are they just “TOO MERITORIOUS”? Is this cheating to over power or misuse of power or simply cheating? The first step of ‘SUSTAINANCE’ or ‘SURVIVAL’ is ruled out for Jim Saville. He could have satisfied his physical needs but he chose to abuse those girls who turned up at the show for a screening which will always remain a lure for centuries to come. Also he was too far to be sighted by anyone (BBC) or maybe eyes (BBC) remained closed willingly. Simply because of the money that poured into the channel because of his popular shows. Lance was a cancer championer and has remained an icon amongst skin fighters. I remember citing him once or twice during my lectures. Who was he cheating against? Was he cheating against life for being unfair to him on one account? Was he trying to “OVERPOWER” life in this way because he couldn’t find any other way OR he thought this was the best way to give it ‘back’ to life? Mr. Gupta is a ‘MILLIONAIRE’ and has a reputation to vie for. His daughter’s wedding was the talk of the world. He has done a lot of qualitative charity. Whom has he cheated on and why? He wished to enter the “BILLIONAIRE CLUB” to the likes Of ‘Kravis Kohl Roberts’ (KKR). This cheating is definitely to “RULE” for. All three knew very well in their positions that they would never even be doubted upon for a “WHITE COLLAR CRIME” unless an ally turns into a rival. Also their “HARD EARNED MERITS” further cemented the thought. All three have represented the “BEST” institutions in the world which further leaves no room for doubt. All three were involved in mediums which are “PEOPLE DRIVEN”. One would argue the case if it was a machine where input = output with or without wastage. But when it comes to humans input will never be equal to output. The quality of the extra element other than output is left alone to be pondered upon. This element can be anything arising from the individual’s state of mind, SURVIVE, SUSTAIN OR RULE. Whether the individual’s adulthood or his future aspirations have any role to play with this extra element is a discussion in itself. Does a legal act of mere stripping them of their titles, levying fine and imprisonment put an end to their “ACTS OF CHEAT” or can something more constructive be done to them out of their destructive attitude. Yes you may argue the act of cheating is over, results/damage done, what more can be done now? Imagine a brainer like Mr. Gupta being put behind bars for two years serving no purpose at all. No I am not advocating his release. Can he be put to better use by putting him among aspiring Auditors as a mentor for not getting on to the act of “WHITE COLLAR CRIME”? All professionals have profound curriculums about finance and customers. How about a subject on “SOUL PLEDGING”? It is easier said than done but this is going to be tremendously impactful because the mentoring will be straight from the “HORSES MOUTH”. No room left for doubts. Been there done that. A firsthand account to all those ‘Auditors’ or ‘Bankers’ or ‘Professionals’ in “People Driven Businesses” to mind their ‘SOULS’ rather than the ‘CLIENT’S MONEY’? This article has been authored by Imambee Shaikh from SP Jain Dubai.